Music posters - Joy Division posters: Joy Division poster featuring three photos of Ian Curtis taken at the Funhouse festival at Manchester's legendary Mayflower Club on 28th july 1979. 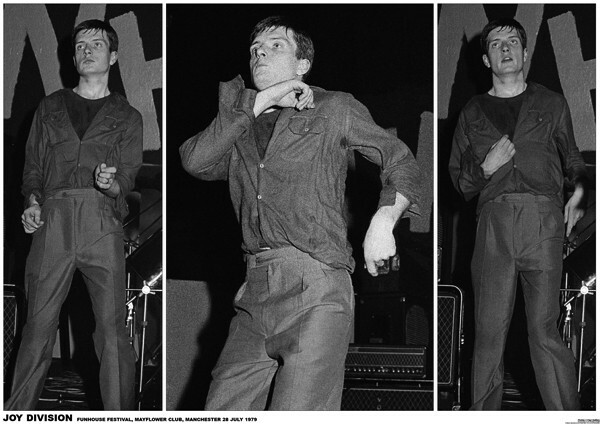 The poster captures the late Joy Division singer's unique and intense dancing style. 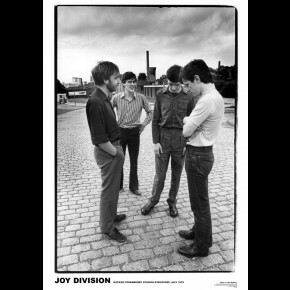 An independently published Joy Division poster by Art-i-Ficial.